Today's recipe is not exactly a cookie, but it's just as delicious! 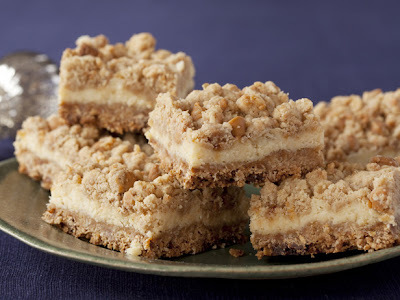 These Oatmeal Cream Cheese Butterscotch Bars are rich and creamy, and will have you rushing through dinner to get to the dessert. One batch yields about 36 bars, so you'll have plenty to share with friends! Preheat the oven to 350 degrees F. Drape a 9 x 13 inch pan with overlapping pieces of aluminum foil, creating handles for easy removal. Butter the paper, and reserve. In a food processor, add the flour, oats and brown sugar and pulse to combine. Add the 2 sticks of butter, the cinnamon and the butterscotch chips. Pulse, pulse, pulse until the mixture forms clumps when pressed between your fingers. Transfer the mixture to a large bowl. Press half of the mixture into the bottom of the prepared pan in an even layer, then reserve the other half. Bake in the preheated oven just until slightly golden and set, about 12 to 15 minutes. Remove from the oven and cool completely. Beat together the cream cheese, condensed milk, lemon zest and juice and vanilla in an electric stand mixer fitted with a paddle, or with an electric hand mixer until no lumps of cream cheese remain. 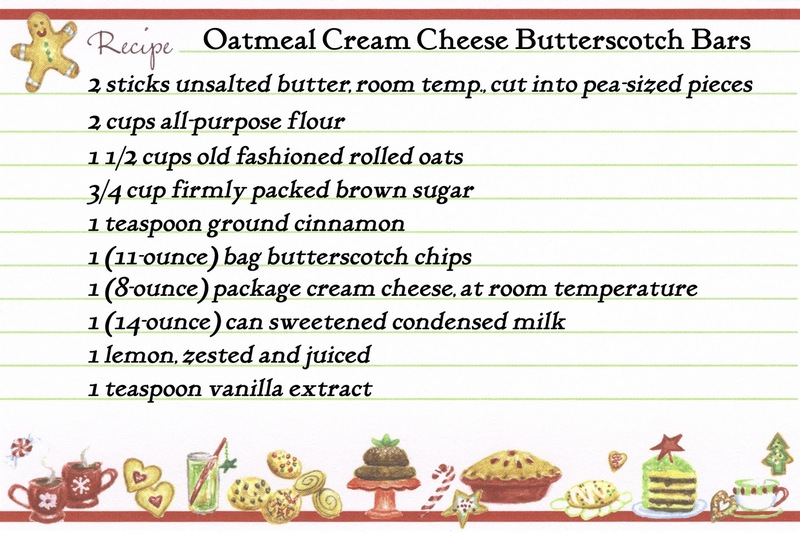 Spread evenly over the baked and cooled oatmeal mixture. 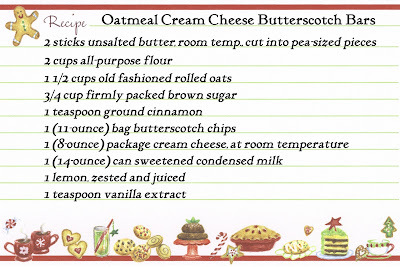 Sprinkle the remaining half of the oatmeal mixture over the cream cheese. Bake until the top is golden, about 40 minutes. Cool and chill before cutting. Run a knife around the edge of the pan, and using the foil handles, transfer the bars to a cutting board. Cut into 2-inch squares with a sharp knife and serve.